Boxing is a fitness trends that is always visible to the eye, but a few decades ago somehow never became a phenomenon all by itself. Similar to Zumba, boxing was first introduced as kickboxing in the early 90s, an aerobic friendly version developed as Tao Bo. It was mostly cardio kickboxing that got all of the attention. Then we saw a dramatic shift taking place. Now boxing classes have taken on a life of its own with boxing franchises being opened up everywhere. Gyms, health clubs and workout environments are determined to make boxing a top fitness trend of the modern age. Boxing requires high levels of strength, prowess, speed, agility, endurance and power. It is a fitness activity that allows even an average person to build athletic skills without getting inside the boxing ring. For adults hoping to get into good shape working out with a personal trainer in a boxing class may just do the trick. You may hear the emphasis on how to decrease cardiovascular disease through fitness. Doing cardio however, doesn’t always mean you have to get onto the treadmill. Cardio is all about putting moderate stress on the heart and lungs in order to challenge these organs enough to increase its support to endure high levels of physical fitness. How you decide to put this stress is up to you. All you need to do is to keep the heart rate up, which means you can kick, punch and jump to achieve a healthy heart. All that jumping and punching requires inordinate strength. Boxing bags weigh close to 100 pounds, at least. During each session, you may learn to kick and punch a 100 times or more. This lets you engage your upper and lower body with the bag. Boxing classes with a home personal trainer results in better hand eye coordination. You may not realize the significance of hand eye coordination and how it can impact a person’s fine motor skills. When you have good hand eye coordination, your reflexes and reaction time is much quicker. Boxing increases this skill. The more you train and practice, the more your hand eye coordination improves. In the end, boxing is a fun sport to engage with. Not only is it a strenuous exercise routine, it is also great fun. More and more people are getting into boxing. Did you hear recently Prince Harry mention boxing as one way of dealing with his emotions? That’s right. 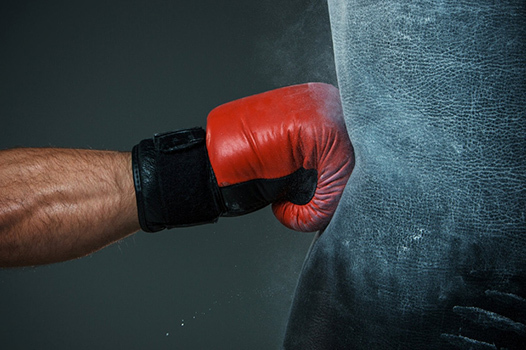 Boxing helps you deal with aggression and daily stresses of life.